In 2018, CTRC&D announced the Linda B. Krause Award for Excellence in Conservation Collaboration and Norma O'Leary Award for Excellence in Agriculture Innovation. The CTRC&D Excellence in Conservation Collaboration Award is given in honor of Linda B. Krause longtime government leader, conservation environmentalist, local and regional land use planner who was a determined and artful advocate for collaboration between government officials conservation organizations and grassroots volunteers in Connecticut. 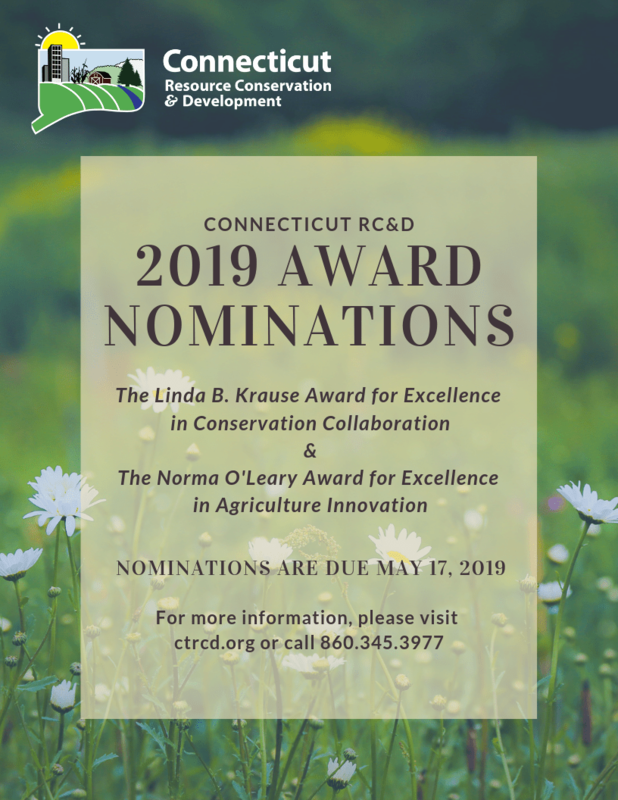 The CTRC&D Excellence in Agriculture Innovation Award is given in honor of Norma O’Leary, an active and dynamic longtime dairy farmer, tireless volunteer, friend, former Resource Conservation & Development Board Member, and champion of local agriculture in Connecticut.